28 in. x 40 in. 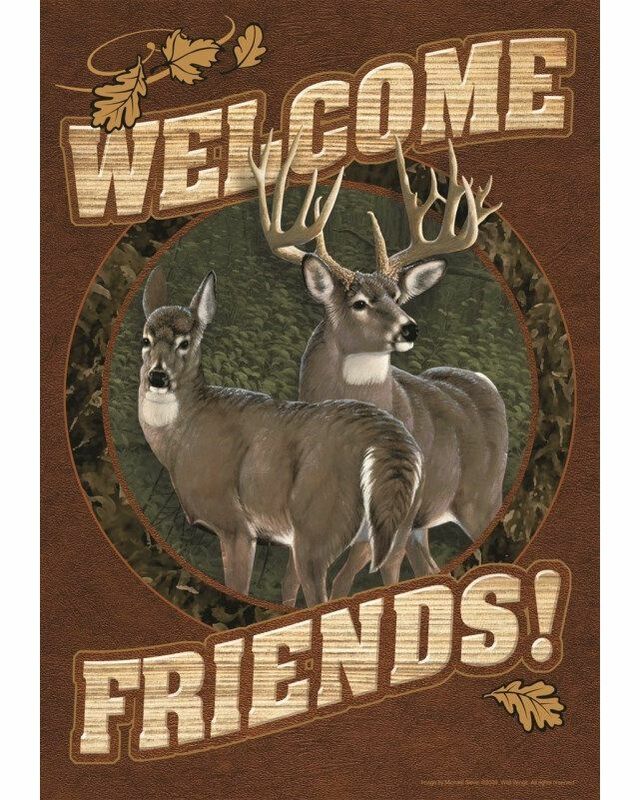 Deer Welcome decorative house flag is permanently dyed in vivid colors that are weather proof, fade and mildew resistant, finished with a pole sleeve.